If you would like to see a list of who I'll be sewing next be sure to visit my "SEWING STATUS" tab on my collection website. I update it frequently as I knock these out. 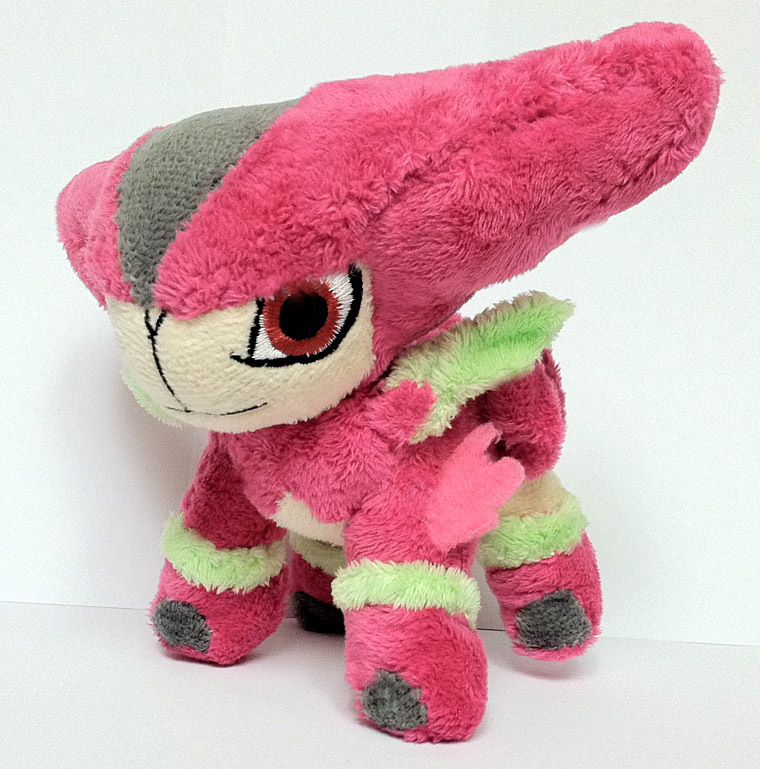 Looking for Quilava and Misty merch! I am planning a HUGE surprise for a friend of mine for her birthday in May. It's a long ways away, I know, but I figure if I start early, then I can snag more stuff for her. I also need the merch to be in good condition, since this is a gift. Not necessarily completely mint, but the more new, the better. Literally what the title says, it's somewhat interesting! is a clear file ! 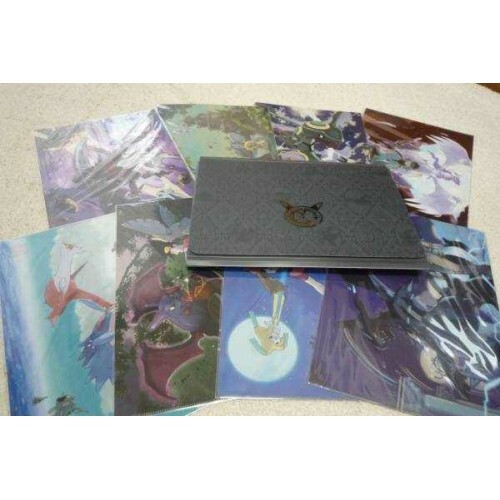 the question what is a clear file i want to buy it but i dont know what it is? is it a postor if it is i want it and post it on my wall but i never got it so i dont know what is a clear file has anyone have this what is a clear file? in all honesty i thought is mini-poster! I had a really busy week due to college stuff, and I changed my mind about where to go so I'll be ready to move in a new town in less than a month! That's mostly why I didn't answer to the people offering their TCG stuff in the previous post, but I took note of all your comments and I'll be able to be back at you as soon as I move from my current place, thank you for your patience. Anyway, it's an update post so let's update! These things arrived along with my new 3DS, it was a very good week indeed. So, you want to apply for sales permission but have no idea what this "comment screening" is all about? Or perhaps you've left a comment on a sales post but didn't know that you received a reply? Look no further than this guide. I'll teach you how to turn on comment notifications by email in order to find out if you've been approved to sell on the community! What to do with Pokemon Cards? Well, it's exactly as the title says! I found my Pokemon cards, and put them all in sleeves, but what exactly do you guys do with them? I want to build a deck, but not with most of these cards! So, what should I do with the leftovers? Hello, all! So, I've had a giant lot of a bunch of my pokemon things up for a little while now, but I wanted to show it here. So, I think what I'm wondering is: would anyone be interested in running a GA for this lot? If the pictures are a little blurry, I can provide a complete list of everything in it. Also, please notice that the description on ebay lists extra items that aren't pictured. 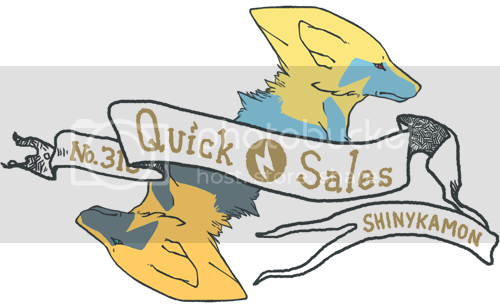 I was granted sales permission on April 22nd by Entirelycliched. This is actually my first sales, but I'm selling a few TOMY figures and a Medium-size Toy Factory Zorua Plush! A wild Noppin box appeared. Noppin box used poor yen rate. It is super effective. Aleyina is now paralyzed. Shipping killed me so I need some help! 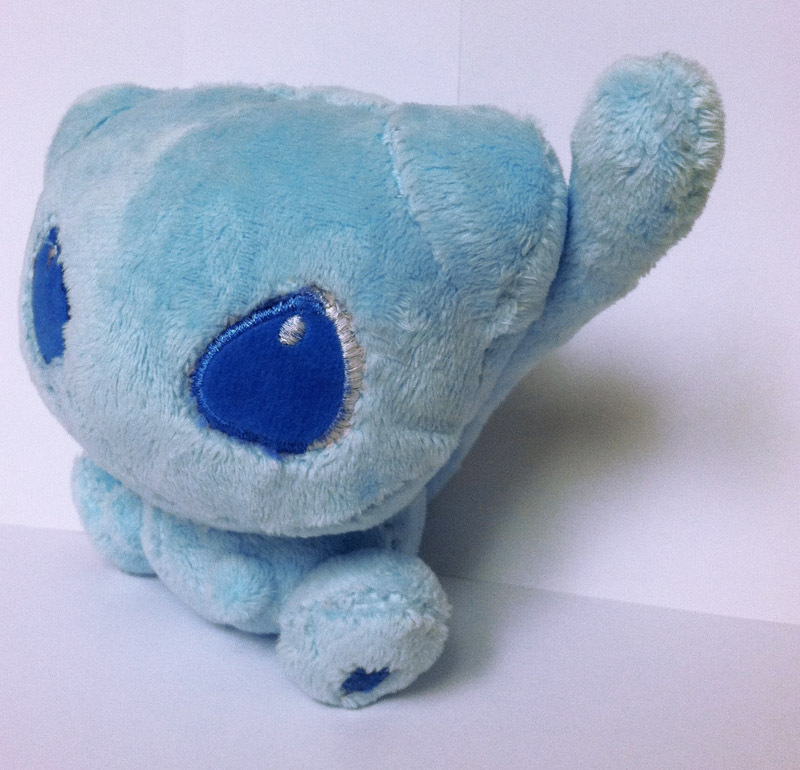 Have some pokedoll figures and lottery items! These end September 3rd at 6:00 PM eastern time! 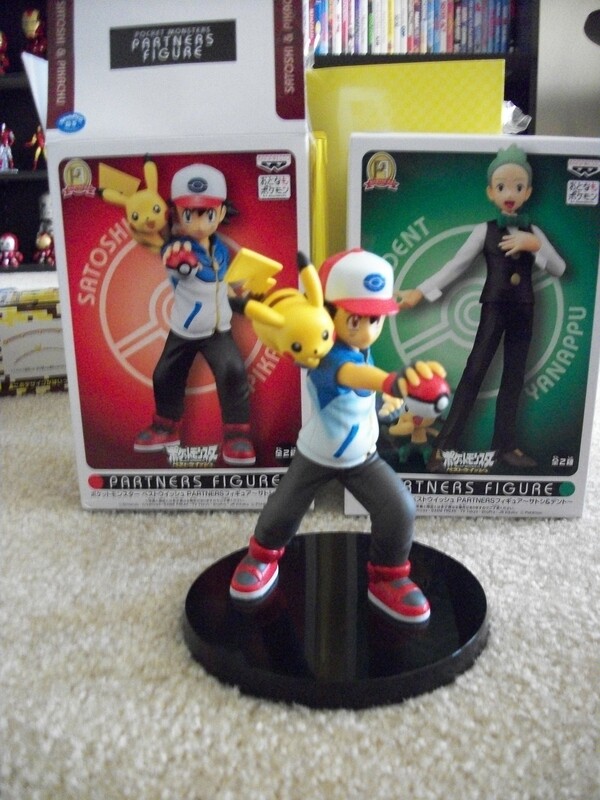 Includes Mightyena figure, BK toys, other ash figures, etc. Hey there fellow Collectors! Some of you know me, but i'm guessing a majority of the newer members don't. My name is Jack but i go by Spideyroxas here =), I've been a member here for over a year & 1/2 now. As of late i haven't been very active at all, with my activity dropping in and out dramatically.. I've had alot of problems with my personal & home life as to why that has been.. but i won't go into that here! But it's taken up alot of my time, some of my friends here know what's been going on. I'm 22, live in England. I collect selected pokemon instead of "Types" of items. 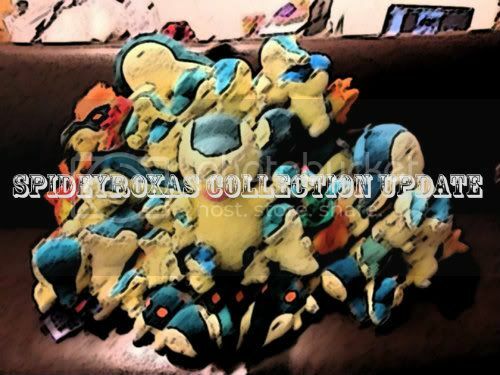 My main collections consist of the Cyndaquil Line (This includes Quilava & Typhlosion) Hitmonlee & Hitmonchan (My favourite duo) & a newly appointed main collection, Terrakion, who i completley adore. I have some side collections too, which consist of Sawk & Thorh, The Electabuzz line, The Magmar line & Lt.Surge, These collections (not including Sawk & Throh) however are on a current freeze and i'm not activly seeking items for them, as i collect alot of other fandoms besides Pokemon, so i focus on my Main collections and other franchises atm. Okay so that's the collection update out the way! 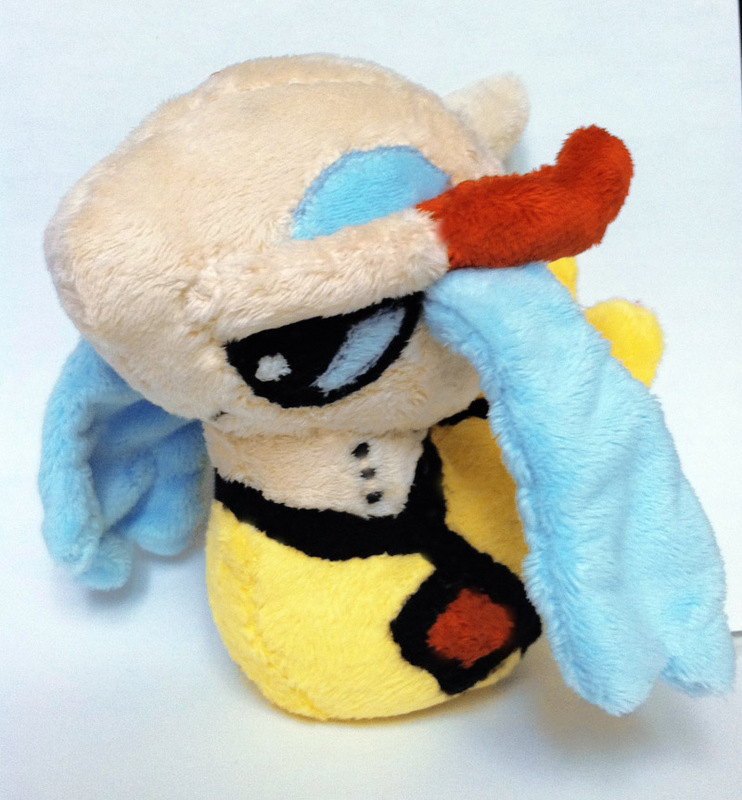 Now the last lot of cyndaquil plush i need! I have some things i'd be interesting trading for them, as i'm not looking to buy due to going on vacation in october. I haven't been very active here lately - there was my holiday trip and right after that began the moving hustle (we now have our first appartment with my boyfriend ^^). But now everything is quite settled and I have more time to spend here! 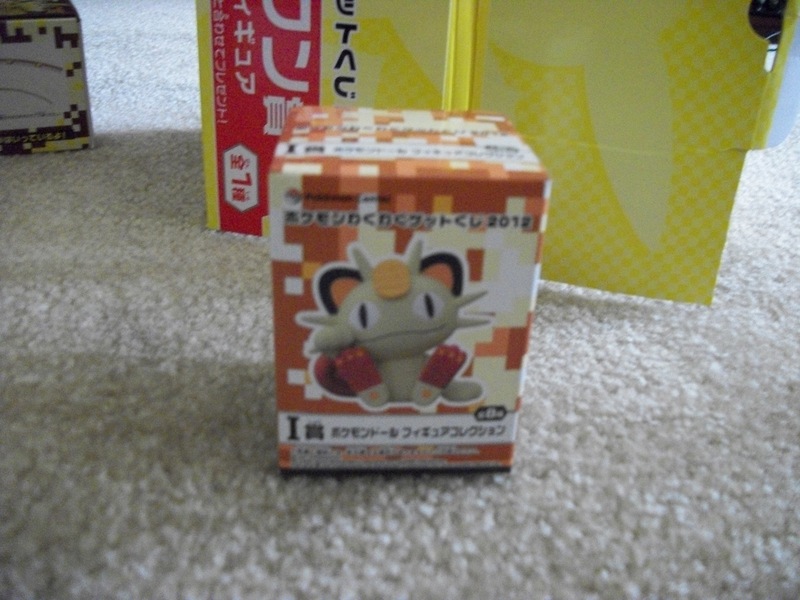 If you missed out, denkimouse is selling blind packages on Sunyshore! Whats the news with these? Just a late night post! When is the release date for them, are they still doing it, are there any changes to the champain? Any information on them (Other than the post Gin made about them) would be helpful!